True love may require us to offer (sacrifice) something valuable for God and others. 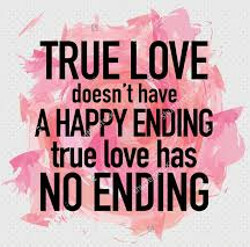 CONTINUE READING: What True Love Really Is. If each of us truly receive the understanding of Gods pure love, people would loss stress, worry, doubt. And, begin seeing each other differently through the eyes of love, joy would move amongst us all. Love your post. I thoroughly enjoyed reading this post and the scriptures you shared are great. They are God's words and his words is our guidance and instruction on how to live each day. Thank you for posting this in the SE community.